Most world religions have compulsory festivals or times of celebrations. For example, Muslims have Ramadan and Jews have Passover. Christianity, on the other hand, has no mandated celebration. Neither Jesus nor His disciples ever instructed future followers to observe any specific day or event. As a matter of fact, it would seem that Jesus removed the weekly observation of the Jewish Sabbath by elevating the other six days to the same status (Rom. 14:5). Therefore, to the Christian, every day is a holy day. Let me quickly point out that Jesus didn’t condemn celebrations. I’m not suggesting that the observation of a holiday is necessarily wrong. Rather, it seems that we are free to celebrate certain days or not to celebrate. The choice is ours. The God of Christianity has not come to saddle us down with rules and regulations. He has come to free us from them. So, even though Christians don’t have any mandate to observe holidays, there is something incredibly interesting about one special day that we have on our calendar. In a sense, it is the greatest of holidays. No other religion or faith possesses an observation as grand as Easter – or Resurrection Day, if you prefer. It’s the very day that sets us apart from other religions or disciplines. No other religious founder has ever made this kind of claim – for very obvious reasons. It’s too risky. If you tell people that you know the truth and will prove it by rising from the dead, and then you fail to do so, people will just ridicule and ignore you. It’ll be really hard to get a new religion going if people think you’re a fool. If you’re going to start a new religion, I highly recommend that you not give yourself “the Jesus test” – that is, unless you are prepared to rise from the dead. Instead, just do what other false teaches do – tell people that you are from God and hope that no one asks you to prove it. But Jesus did what no other person could do. He rose from the dead. He not only appeared to His friends but to some enemies as well. Though the Jewish leaders denounced the resurrection, they had to admit that they didn’t have his body. The Romans didn’t have it either or they would have produced it when trouble began. If the disciples stole Jesus’ body than they pulled off the greatest hoax in the history of mankind because most of them underwent torture and ultimate death without recanting. They could have ended the torture quite easily by producing the body. But they didn’t – because they couldn’t. They didn’t have the body. 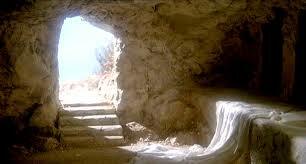 No, the most reasonable explanation for the empty tomb is that Jesus rose from the dead. This historical moment provides Christianity with the objective reality that all other religions fail to bring to the table.